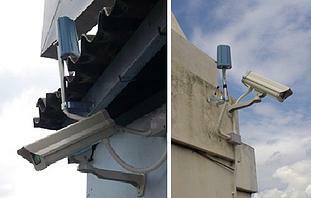 Cebu CCTV simply exists to address your surveillance needs whether it is for personal or business use. We aim to be the largest online one-stop-shop exclusive for CCTV, IP cameras, high definition cameras for Cebu and all over the Philippines. We can also provide turnkey solutions that fit your needs and within your budget. ​Our surveillance products are made of excellent quality sourced out from different suppliers and we guaranty satisfaction for every customer whether big or small. We have trained engineers and technicians who will help you decide which products suit your needs. We do not just provide you the right products, but we strive to provide it right. We keep things simple. We keep you satisfied.